(WASHINGTON DC) DO YOU HAVE WHAT IT TAKES? Wanna try your hand at being a Naked Girl? Well, here’s your chance! The Naked Girls of Washington, DC are having their very first “So You Wanna Be a Naked Girl” Competition and Cherokee Rose is looking for a few great readers. Think you’ve got what it takes to read alongside greats like Gigi Holliday and Cherie Sweetbottom? Well, bring it on! Just wanna have a good time while reading your favorite works in front of an adoring audience? We’d love to hear from you, too! To Enter: Send an email with your name, the author, title and a few sentence synopsis of your piece by 8/1/13 to nakedgirlsreadingDC@yahoo.com . 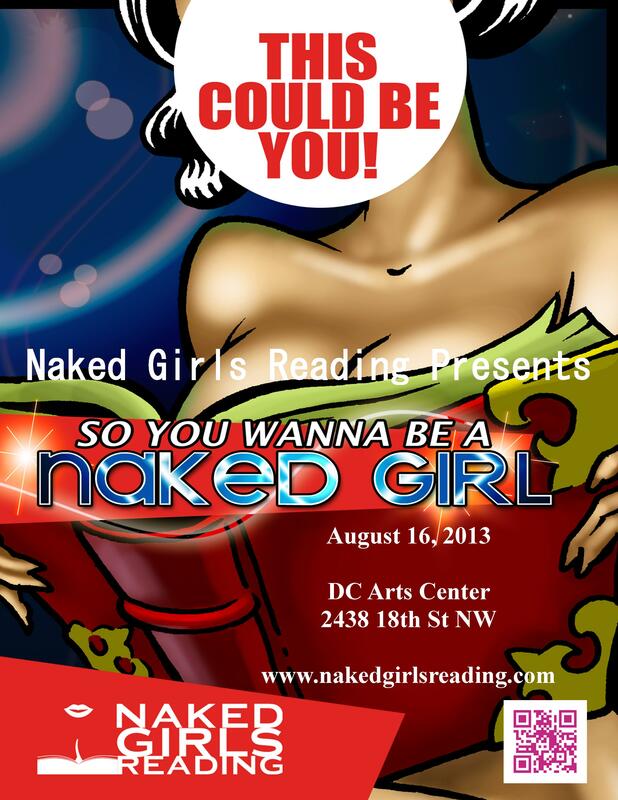 If you are chosen to compete, be prepared to join us to read Naked on 8/16/13, 7pm at the DCAC. The prize: One lucky erudite lady will be chosen to join us again in September as our Special Guest. Who knows, winner or not, if you impress us enough you may become the new official Naked Girl of DC. Next (CHICAGO) It’s Shark Attack Time!